The original iPad mini, first made publicly available back in October 2012, has seemingly come to the end of its shelf life. The internal hierarchy within Apple has given the order to silently remove the first-generation iPad mini from sale, which appears to apply to Apple Store retail outlets as well as the company’s Web store. The device may have been removed from sale through official Apple retail channels but the effect that it made on the future of the product genre is still apparent in the company’s portfolio. Apple’s first attempt at penetrating the smaller tablet market with the iPad mini was undeniably a successful one, not only managing to shift a large number of units but also paving the way for the iPad mini 2 and iPad mini 3 to be announced and released to an audience that had already been won over by the first product. The aesthetic influence of the tablet also lives on and continues to captivate consumers due to the fact that the design patterns and engineering processes used for the original iPad mini were subsequently carried through to the second and third generation devices as well as the iPad Air and iPad Air 2. The decision to continue to sell the original iPad mini after introducing the third-generation 7.9-inch tablet was one that managed to perplex a lot of people. Still, dropping the price to $299 for a 16GB model ensured that it appealed to enough people and was priced at the perfect point to be considered as an “entry level” piece of hardware for those who wanted to see what the world of tablet computing was all about but who were reluctant to part with more cash for the current-generation model with Retina display. If Apple is great at one thing, it’s knowing its market, and that seems to be the case here, as plundering prices of other similar products has meant the original iPad just isn’t as appealing anymore. Time for it to go. There’s also an extremely compelling reason as to why the original iPad mini has been laid to rest. All remaining iPads – iPad mini 2, iPad mini 3, iPad Air, and iPad Air 2 – are all powered by either an A7 or A8X processor complete with 64-bit architecture, along with a Retina display, making up for a more united lineup. Official resellers of the original mini will continue to distribute until stocks are depleted. If you go through Apple’s mobile device portfolio at this point in time, you’ll realize that the company now only sells iOS devices that have a Retina display, be it an iPhone, iPad or iPod touch. Those of you still rocking the first-gen iPad mini will be happy to know that Apple will still be supporting the hardware as far as software updates go. Yes, iOS 9 will be available for iPad mini when released to public this fall. “Apple knows it’s market”?? They said no one would buy a tablet smaller than 10″ when they saw the nexus 7 remember. They said no one would buy a big phone when they saw the note series. Wrong in both cases by a long shot. 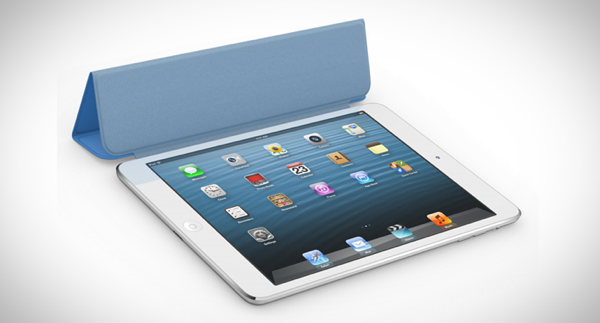 It’s good they are killing off the iPad mini. Unbelievably laggy which makes sense being a cheap device.